Will you be an actor for change? Thanks to the success of our pilot project, we are launching today the official GISA program, which is available across Quebec. But it’s not all, we have another surprise for you: We are proud to present you the Take action against bullying contest! By entering this contest, you’ll have a unique opportunity to speak about bullying related to sexual orientation or gender. In groups of 3 to 8 people, send us a script and you’ll have the chance to turn your script into a 3-minute video to be broadcast in the spring of 2019 on social networks. 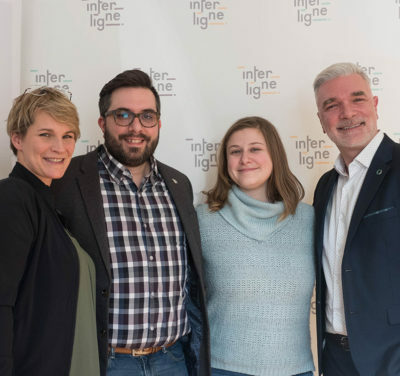 If you and your team are selected, not only will you attend and assist in the production of your own video, you’ll also win a week in Montreal with fun activities, courtesy of Interligne. It’s a great opportunity to learn about the film industry, while having a lot of fun! So, if you are between 12 and 18 years old and you are interested in this contest, sign up here with your team! 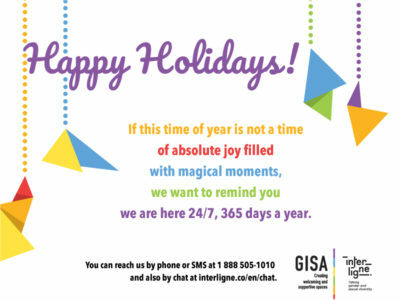 You can also write to us at gisa@interligne.co or call us at 514 866-6788, extension 134. If you have any questions about the contest, we’ll gladly answer them.